Quad bikes and motorbikes: does your insurance pass muster? QUAD bikes and motorbikes are a popular and vital farming tool. Unless they are used carefully, they can also present risks to users which farm owners and operators must address. In this article, we look at how these risks have materialised and explore the available risk management and insurance solutions that can minimise and protect farmers and farm operators from liability arising from motorbike and quad bike incidents. riders not wearing a helmet. There are a range of ways in which farm operators ought to address these risks. Information and support is available to farm owners and operators to manage quad bike risk through Safe Work Australia: https://www.safeworkaustralia.gov.au/quad-bikes#ways-to-prevent-quad-bike-injuries. properly evaluating the terrain where the quad bike is to be used. To manage these risks, farmers and farm operators should ideally have documented safety plans for the use of these vehicles. Incidents involving quad bikes can lead to a range of potentially significant financial penalties for farm owners and operators. 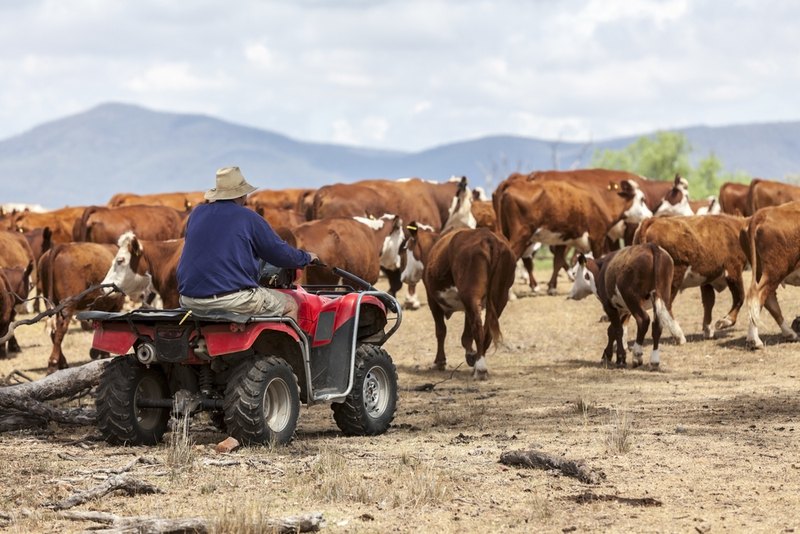 When employees and contractors are injured while operating quad bikes for farm owners and operators, this can lead to damages claims, workplace health and safety prosecutions and, in the case of worker fatalities, possibly coronial inquests. Whether these claims and prosecutions succeed or not, they inevitably lead to high costs to farmers and farm operators arising from legal defence costs and substantial time away from core business activities. There have been recent decisions involving claims for personal injuries arising from quad bike use where the damages awarded run well into the hundreds of thousands of dollars, with defence costs on top of that. Equally, fines and penalties can well exceed $100,000 in some cases. Statutory liability insurance – this policy will provide cover for fines and penalties and defence costs in the event of a workplace health and safety prosecution arising from a quad bike incident. Even if farmers and farm operators already have these insurance policies, it is essential that the level and scope of cover provided be regularly reviewed to ensure that it is adequate.